Once in the U.S., enslaved men and women of different ethnic groups mixed in ways that did not occur in their homeland. Diverse cultural traditions, languages, and religions were fused into a new culture – African in origin – yet unlike any particular African culture. This culture developed and flourished in the Lowcountry and down the Georgia coast to Florida, and came to be known as Gullah-Geechee. The Gullah-Geechee lived near the coast, on barrier islands that were separated from the mainland by rivers and marshes. 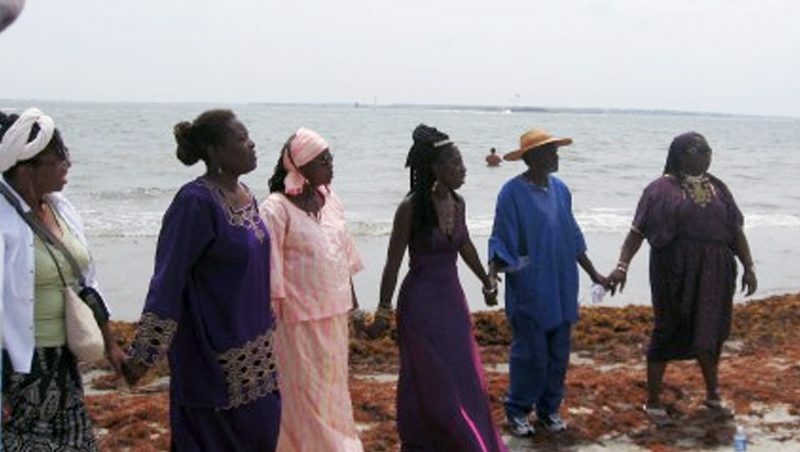 The isolation of these communities from European culture and influence was vital to the survival of Gullah culture. With time the geographic isolation of the Gullah became one of choice. Gullah-Geechee people maintained a distinct dialect, an English-based Creole that drew upon the grammar pronunciation and vocabulary of African languages. This hybrid language served as a common bond among Africans of different ethnic groups.